Penn State Pride dots the state of Pennsylvania with two-dozen campus locations of varying size. From its massive University Park campus packed with over 45,000 students to its Shenango campus with 578 students, each state-owned university campus offers a full range of degree programs and amenities for students. Nestled outside an industrial community along the Allegheny River in Western Pennsylvania, Penn State’s New Kensington campus is no exception. With an enrollment of around 700 students, Penn State New Kensington offers thirteen academic majors, supported by a library, computer technology center, engineering and science laboratories, an art gallery, 350-seat theater, multi-purpose conference center, and athletic center. Like most schools, the athletic program is vital to the student body and the school itself. One in seven students participates in varsity sports at New Kensington. It offers men’s soccer, women’s volleyball, wrestling, men’s basketball, softball, co-ed golf, and cheerleading as part of the United States Collegiate Athletic Association (USCAA). Central to these team sports as well as other extracurricular athletic activities for the general body is the 30-year-old athletic center. The facility includes a gymnasium, weight room, fitness room, racquetball courts, and a combination Pilates/wrestling room. A soccer field and activity field lay adjacent. In an increasingly competitive market, small satellite campuses like Penn State New Kensington always seek an advantage to recruit the best and brightest students. Athletic Director Dave Murray understood that a vibrant, competitive varsity sports program would be central to that recruiting effort, even on the small New Kensington campus. The athletic center itself, including the locker room facilities, would be under constant scrutiny of potential student-athletes. But the athletic center’s locker room facilities, with its bare concrete flooring, fell short when it came to projecting an image of excellence that would attract athletes. So the Athletic Department explored the improvements that could be made to the facility to enhance its appearance. During an extensive search of hard-surface flooring treatments, including epoxy coatings and other conventional commercial-grade flooring systems, Mr. Murray discovered polyaspartic coatings manufactured by FLEXMAR® Coatings, headquartered just a few miles away from campus. Todd Slomka and Kevin Bertocki of Taren-tum-based U-Neek Concrete Coatings, the local FLEXMAR-authorized applicator, visited the athletic center to make the sales call. But the sales process didn’t stop there. 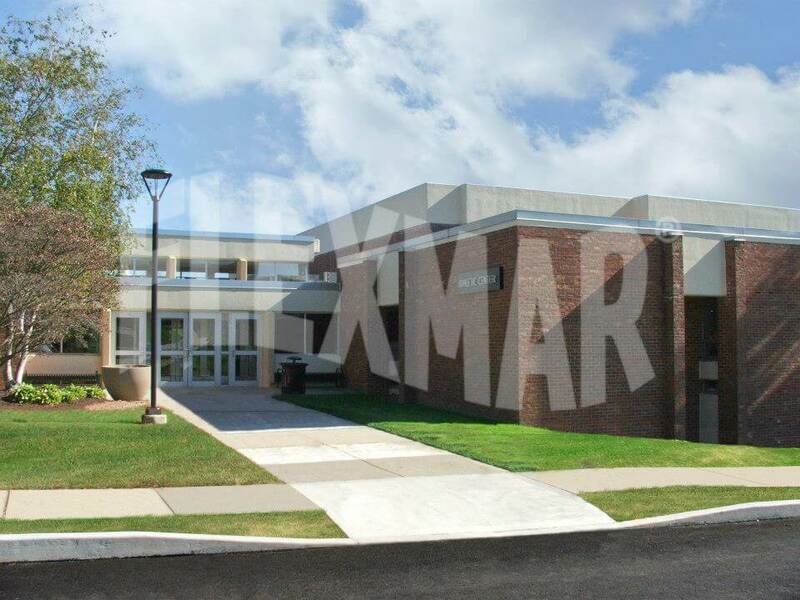 The personal attention given by FLEXMAR Coatings made Murray and the Athletic Department confident that FLEXMAR polyaspartics was the perfect choice. The U-Neek Concrete Coatings crew wasted no time transforming the locker room facility’s floor. They repaired chipped and cracked concrete with a rapid-set polyurea repair material. Then they diamond-ground the existing concrete to create an optimal profile for the concrete to accept the polyaspartic coating. Once any residual dust was removed from the floor and any adjacent surfaces, the applicators rolled on a base coat of FLEXMAR® Sand Beige Self-Prime HS Coating and broadcast Saddle Tan color flakes into the still-wet base coat. In about an hour, the base coat was dry, and any excess vinyl chips were removed. Then, an initial coat of FLEXMAR Clear Coat HS sealer was rolled onto the floor. In about an hour, the floor was dry, and the crew from U-Neek Concrete Coatings applied the finish coat of FLEXMAR Clear Coat HS sealer. One hour later, the finished floor was dry and ready to be returned to service. During the application, no closure of the athletic center was necessary due to dust or odor created during the project. Like all FLEXMAR Coatings applicators, U-Neek Concrete Coatings took care to minimize disruptions and inconveniences that may have resulted from the floor application process. They were able to collect or swiftly mitigate any dust that was produced during floor preparation. And there were no problems with unpleasant smells since all of FLEXMAR’s polyaspartic coatings, stains, and sealers have virtually no odor to them. With the transformation of the unsightly locker room floor complete in under one day, the new lockers were installed and the facility opened for normal use. The reactions were wildly positive. 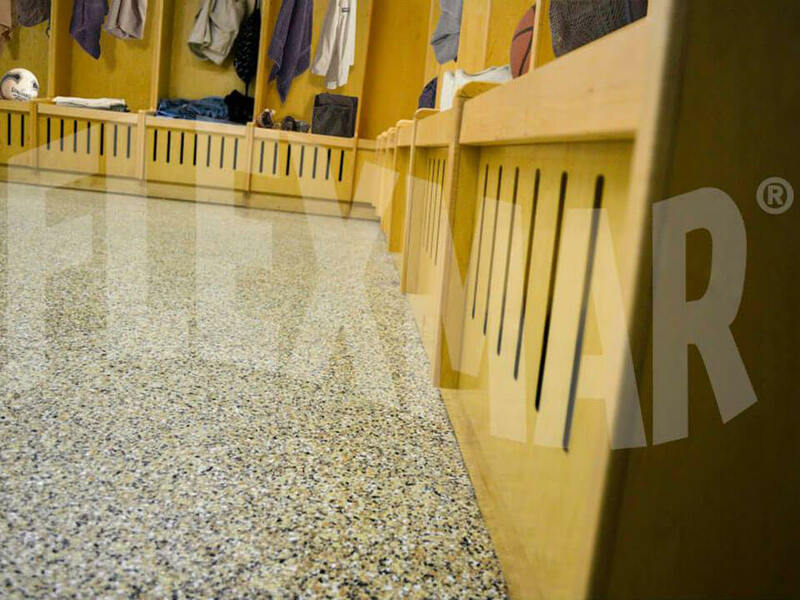 The floor doesn’t just look great; it is performing to a standard of excellence only FLEXMAR polyaspartics can meet. 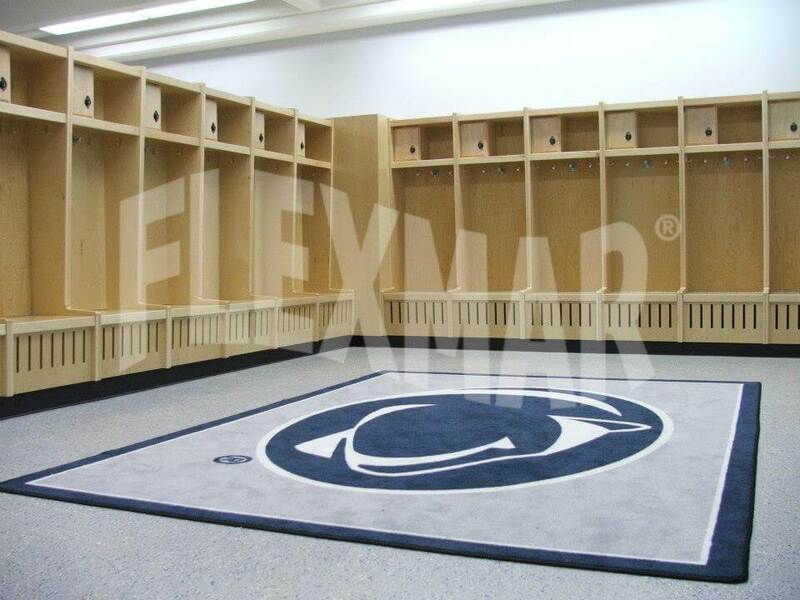 Overall, Penn State New Kensington is pleased with the bright, clean look and superior performance of their FLEXMAR polyaspartic floor. If it isn’t FLEXMAR, it’s just another coating. † “USGBC” and related logo is a trademark owned by the U.S. Green Building Council and is used with permission. “LEED” is a trademark owned by the U.S. Green Building Council and is used with permission. Information on this page is the property of FLEXMAR Coatings, Inc. and may not be used without the express consent of FLEXMAR Coatings. Copyright © 2016. FLEXMAR Coatings, Inc. All rights reserved. Ready for a FLEXMAR Floor? 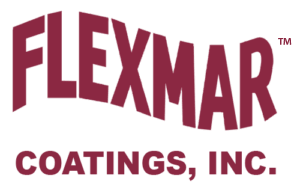 Contact us today for more information about FLEXMAR products, available installation services through our applicator network, or if you need help choosing the right system for your floor.